Let Customized Tours take you to the amazing annual Christmas Lighting Festival in the picturesque Bavarian-themed mountain village of Leavenworth, Washington. 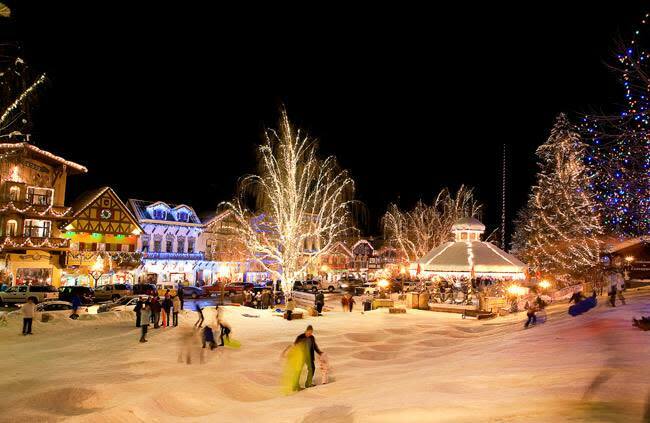 Browse and shop the village’s quaint old-world themed shops, savor authentic German food from street stands and local eateries, enjoy live outdoor entertainment, and splurge on a horse-drawn winter carriage ride. Gather at dusk for the Christmas Lights ceremony as the town, promenade, and Christmas trees suddenly burst ablaze in hundreds of thousands of twinkling lights. Afterwards, relax on your comfortable trip home filled with the holiday spirit, and treasured lifetime memories. You will have many opportunities to photograph the awe-inspiring scenery around you as well as the charming Bavarian themed shops, scenes and promenade, so don’t forget your camera! Pick-up is 8am at the EMP. 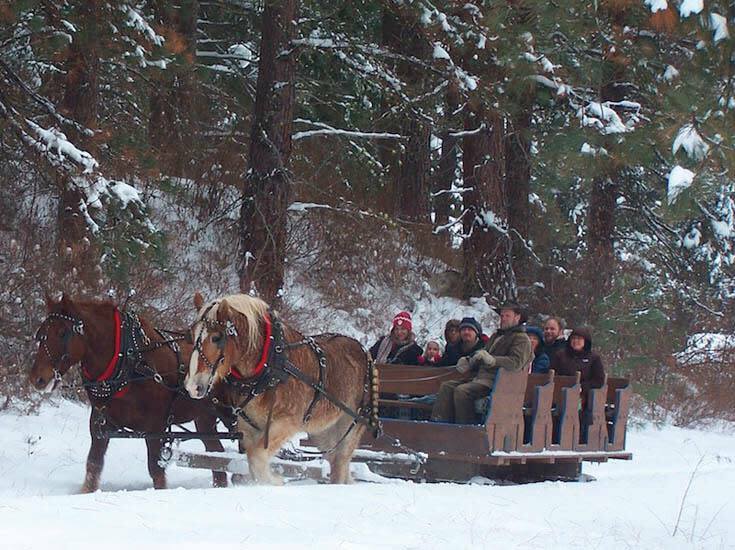 For something extra special Friday & Sunday tours pick-up is 7:30am and include a sleigh ride snuggled under wool blankets at the Red Tail Farm through a snow covered canyon in the majestic Cascade Mountains. Afterwards warm yourself by the fire, enjoy hot cocoa, and pose for pictures with the Belgian and Suffolk Draft Horses before you are whisked away to Leavenworth for the remainder of this spirit-filled Bavarian tour. BE SURE TO CALL SEATTLE SOUTHSIDE TODAY FOR THE SPECIAL PASSCODE and SAVE 50% on ALL LEAVENWORTH TOURS!